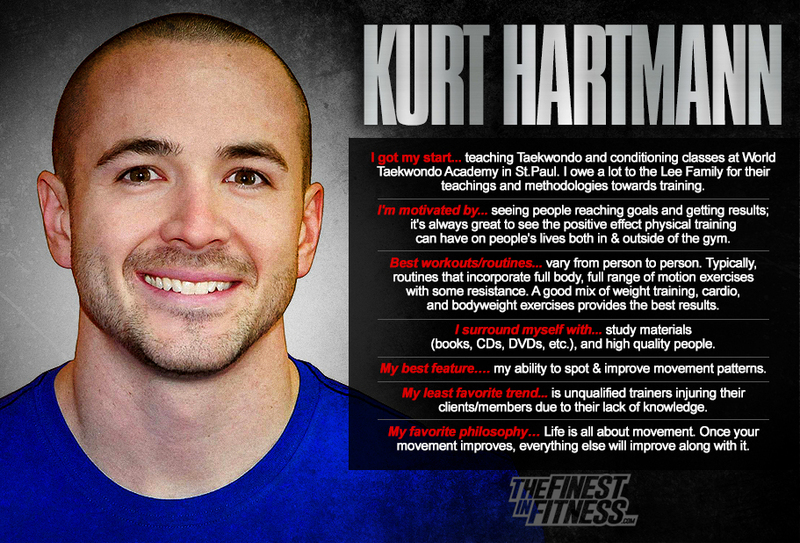 Kurt Hartmann takes an enthusiastic and innovative approach towards fitness programming. His martial arts and sports background keeps his training results-oriented. Kurt constantly tests his theories on himself, and shows his clients the respect they deserve when applying his proven methods to their workouts.